Sega are without a doubt one of my favourite companies in the games industry. Much like Nintendo, they’ve developed games that have put gameplay and fun above all else, understanding the importance of customer satisfaction, and utilising several high quality franchises to keep those hungry fans coming back for more. Of course, that’s what I’d believe were I writing this article fifteen years in the past. Sadly, it’s been a frustrating time to be a Sega fan these past few years. From publishing blunders to kicking their chief moneymaking hedgehog to the curb and outsourcing him to inexperienced developers. All while trying to keep Yakuza, one of the last bastions of quality gaming from Sega, away from western audiences. Not to mention the constant neglect of some classic franchises that are just ripe for a revival. 5. ChuChu Rocket! 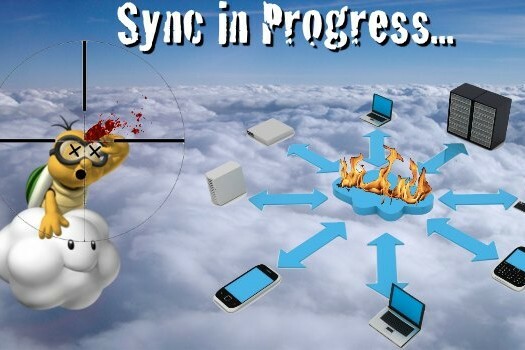 – Mouse Mania! No one could touch Sega during its Dreamcast era in terms of sheer gaming quality. 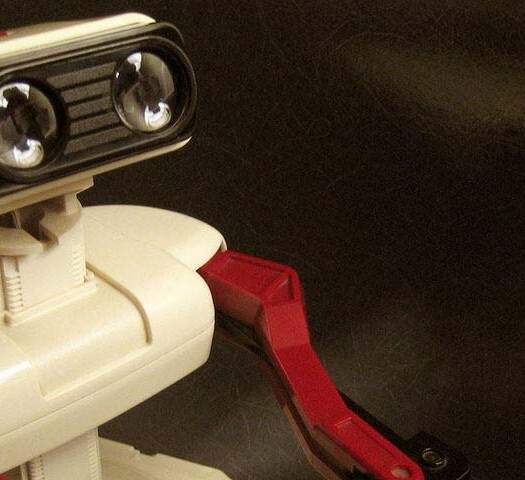 It’s a shame the console did so poorly, because not only was the machine vastly ahead of its time in the console market, it was also a time where Sega, akin to Rare’s relationship with Nintendo, were just on absolute top form. Sega and their various studios developed some true cult classics in this era helping the Dreamcast carve its own slice of gaming history. 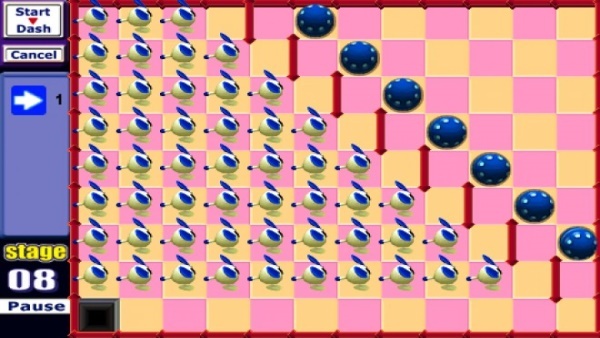 One such game developed in this era was ChuChu Rocket!, one of the most sporadic and often stressful puzzle games ever made. ChuChu Rocket’s speedy gameplay came as no surprise given its designer: Yuji Naka, the father of Sonic. The game tasked you with guiding small armies of mice (rather appropriately known as ChuChus) into rockets by placing arrows on the ground to alter their direction on the board. What was this in aid of? Well, escaping the most bizarre looking cats (known as KapuKapus) in gaming history of course! The game also had a full suite of multiplayer options, and that was certainly the best part of this game. As was the nature of the Dreamcast, ChuChu Rocket! was also one of the first console games to feature online play. Given its simple, yet deceptively tough to master gameplay, local and online multiplayer support and its casual friendly graphical style, ChuChu Rocket! truly is a game that can be enjoyed by everyone, and would fit right in as a digital title on the current generation of consoles. 4. Altered Beast – Welcome to Your Doom! It’s quite sad that Altered Beast, one of Sega’s earliest arcade games, only ever had one game to its name. Well, there was the terrible PS2 beat-em-up, but no one likes to talk about that. Nowadays, this side-scroller is known for its cheesy digitised voices, chiefly the opening “Rise From Your Grave!” sound clip, which has in recent years become something of a meme. 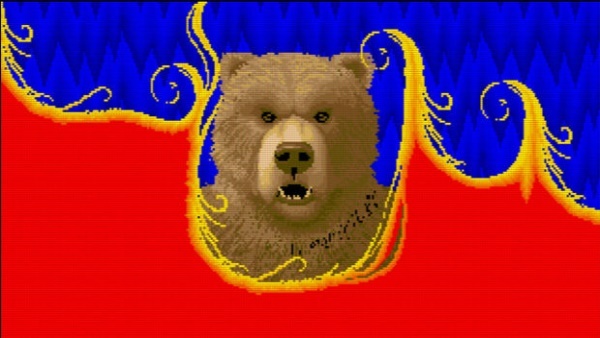 Hilarious voice acting aside, Altered Beast featured the then unique ability to alter your buff Schwarzenegger type into a beast, funnily enough. Yes, the bear looks a bit derpy, but I wouldn’t say that to his face. Transformations were different on each stage, and included a werewolf with a flying kick, a somersaulting bear and a cheetah man… no, not that kind of cheetah man. 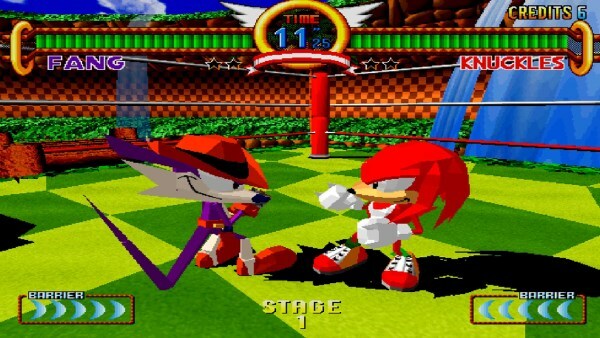 Needless to say, transforming into a beast felt like a huge achievement, with Sega rewarding the player with an epic sequence showing your guy’s head morphing into that of an animal. Accompanied by a triumphant scream, the music then kicks itself up a notch while you wreak havoc on the rest of the stage’s enemies. Altered Beast is a game that deserves a revival. Throw in a longer game with branching paths, more transformations and maybe even more playable characters with different movesets upon transforming and you have a recipe for a highly replayable beat-em-up. 3. Space Channel 5 – UP, UP, DOWN, DOWN, CHU, CHU, CHU! I will admit that it could be quite the challenge in developing a Space Channel 5 reboot. 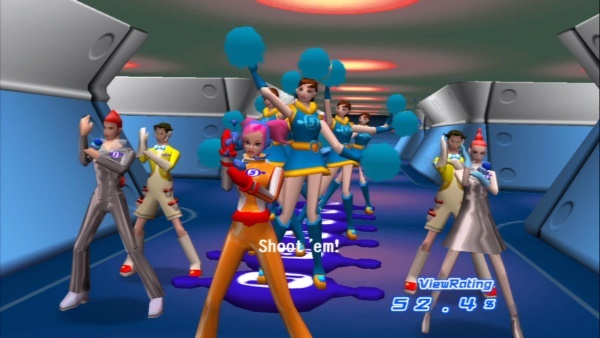 A rhythm game that essentially had the structure of a stage musical, both Space Channel 5 games were quite short and didn’t feature as many songs as your Guitar Heroes or Project Divas, but what they lacked in quantity they rather speedily made up for in quality, accompanied by a visual style inspired by 70’s sci-fi. You know the type, where everything looked like a bubble and people dressed in brightly coloured latex? Hey, nobody said this game was easy to explain! But Space Channel 5 took this theme and had a meteorite crater-sized blast with it. You play as Ulala, the bubbly pigtailed host of her own Swingin’ Report Show. Now, nobody said reporting the news in the form of endearingly catchy musical numbers was terribly efficient, but I’ll be damned if it doesn’t have you mesmerised throughout the entire game. Hitting the right notes and saving civilians from cheesy sci-fi peril increased your ratings, whilst doing the opposite dropped them, presumably converting viewers to Channel 42, featuring Ulala’s cocky rival: Pudding. Truly a game where one should expect the unexpected, Space Channel 5 deserves a reboot on the sole premise that its theme is practically timeless, and that not a whole lot of games can replicate the impression it left on its fans who to this day demand a Part 3 from Sega. 2. Jet Set Radio – How Do I Get Rid of these Nasty Roaches? Yes, I’ve made it no secret here that I’m a diehard Jet Set Radio fanatic. 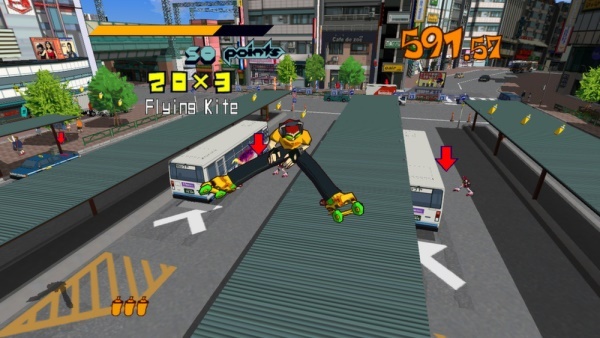 With both games in the series (the Dreamcast original and the superb Future follow-up on the Xbox) taking the top spots on my personal all-time favourite games list, it genuinely baffles me that we haven’t seen an entry in the Jet Set Radio series since 2002. Thirteen years ago. For such an explorable IP, that really needs to change. As I’ve mentioned earlier in the article, Sega’s older franchises would benefit greatly on digital platforms. Most of Sega’s games from Jet Set Radio’s era were small (not including Shenmue of course, which arguably has a spiritual successor in the form of Yakuza), yet focused and highly polished titles. And no, I’m not saying put them on mobile devices like they did with that god awful free-to-play Crazy Taxi game; we’re talking about rebooting these franchises, not putting them out to pasture. You can also survive being hit by a train in this game. Just saying. All I’m saying is if Sega wanted to develop a smaller game akin to the original Jet Set Radio, there are plenty of fans out there who would lap up a reboot like that on digital platforms. That is if Sega is unwilling to go full on with a much larger game similar to Future, which let’s face it, they probably are. As it stands Jet Set Radio is a potential moneymaker that’s just locked up, gathering dust in Sega’s old IP storage cupboard. Sure, neither game sold extremely well, but a new entry would restore some goodwill in the core Sega fanbase who are crying out for the return of Sega’s golden era. In the meantime, check out Hover: Revolt of Gamers on Kickstarter, which is heavily inspired by Jet Set Radio and will feature music by Hideki Naganuma himself! 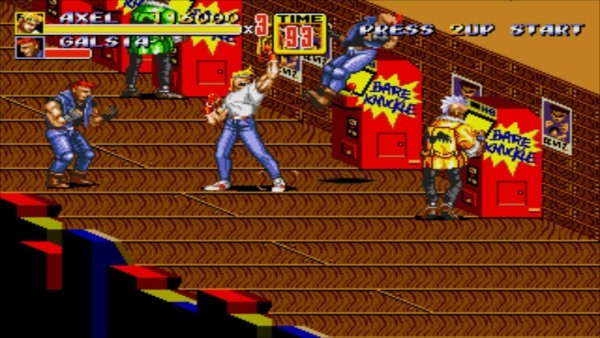 Streets of Rage 2 is my favourite Mega Drive game, and hands down one of the best games Sega has ever developed. The original game was an interesting romp but featured awkward controls in comparison to the likes of Final Fight and Sega’s own Golden Axe. Streets of Rage 2, however, completely blew this game out of the water, and while the third in the trilogy continued that level of quality, Sega went gung-ho on that game’s difficulty, making the game borderline unfair. Streets of Rage 2 hit the sweet spot, mixing perfectly tuned controls, satisfying beat-em-up gameplay and a masterpiece of a soundtrack into one tiny cartridge. Now, while the recent (and rather excellent) fan-made Streets of Rage Remake combined the best of all three games into one package, I think Sega should take cues from this project were they ever to resurrect this timeless brawler. Apparently one game is all these gangsters needed for their ambitious arcade. Remake features branching paths, a ton of unlockable characters and modes, even alternate character colours and costumes. Not only was the game a fantastic homage to one of Sega’s finest trilogies, it just goes to show how dedicated the Streets of Rage fanbase is: if Sega is unwilling to reintroduce the series to the world, then the fans will just do it themselves. Often with exceptional results.